I shan’t pretend this is a full-on recipe because it just isn’t – this guy is all over Instagram and Pinterest. I also won’t call these “two ingredient pancakes” or “protein pancakes” because you really need at least four ingredients to make them taste great (why limit yourself two ingredients just to be able to have a gimmick) and why oh why would you turn the name of something so lovely into something so unappealing (protein and chips for me please)?! 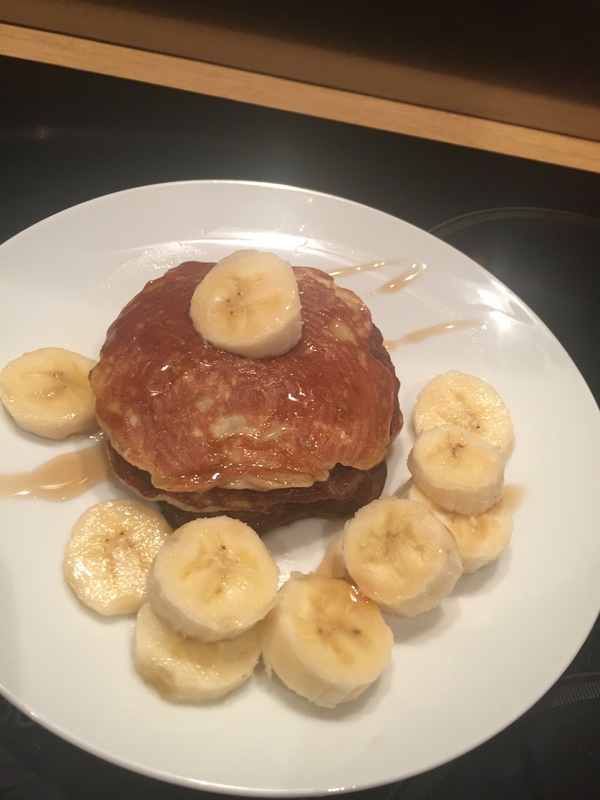 These definitely live up to the hype so thank you Mr Brooker for introducing me to these guilt free treats, which are so much easier to make than normal pancakes! 1. 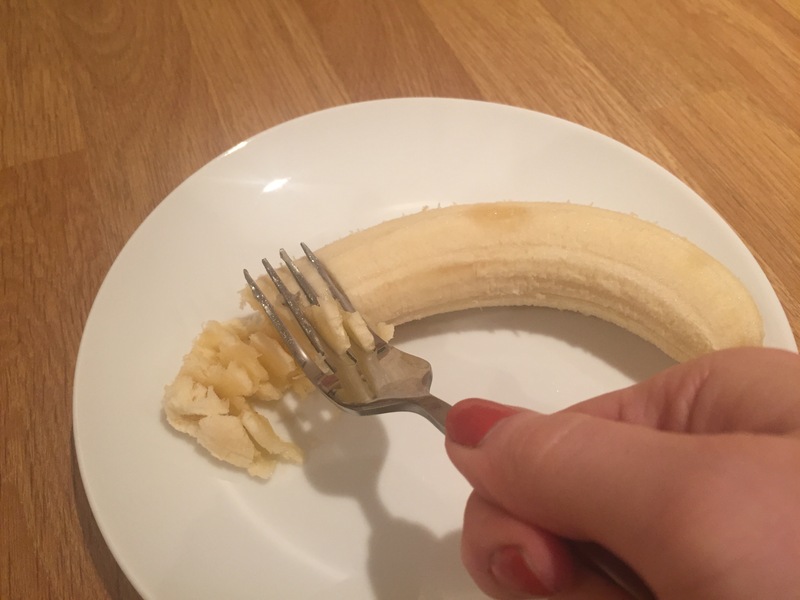 Mash the banana with a fork. 2. 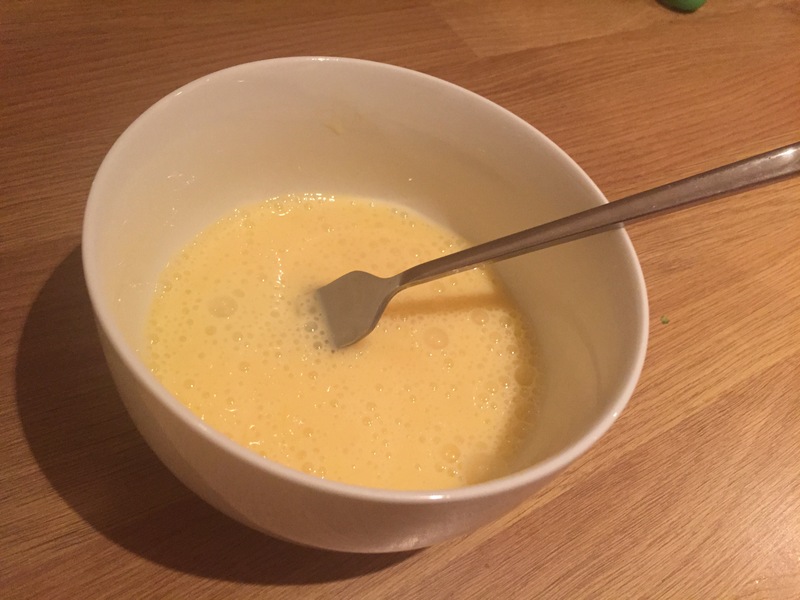 Crack the eggs into a bowl and whisk up with a fork. 3. Add the banana and pinch of salt and mix well. Don’t worry if it’s a bit lumpy! 4. Put a medium to large (depending how many you want to cook at a time) frying pan on the job and add a little butter. Let it melt over a medium to high heat. If it sizzles it’s hot enough for your pancakes. 5. 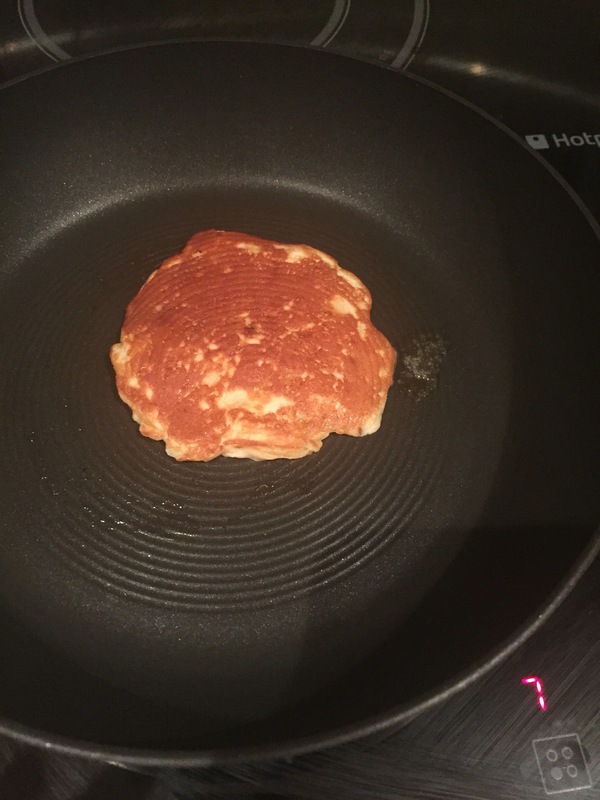 Drop two tablespoons of the batter onto the pan in quick succession so that it forms an almost round pool of batter – it’ll be too runny to be perfectly round, I’m afraid, and allow it to cook until it is set around the edges. 6. Slide a spatula under it and flip it over. 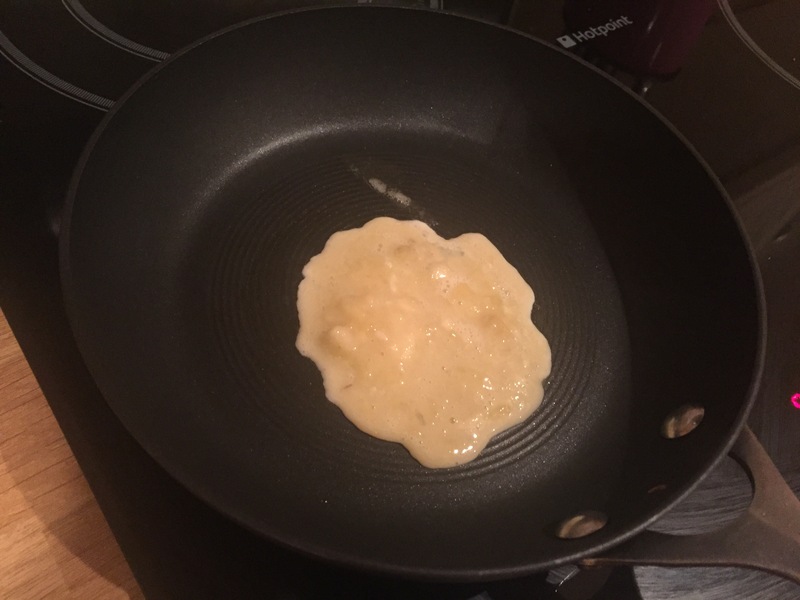 If you’re brave, do feel free to try to flip without the spatula, but I’m really not that coordinated. 7. 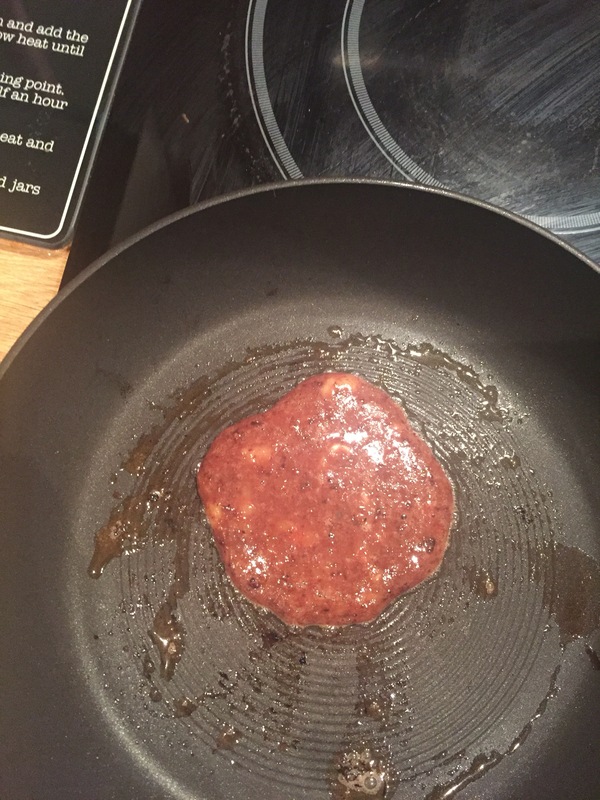 Cook on the other side – noting that it won’t take as long for this side to set – then remove and place on your plate. 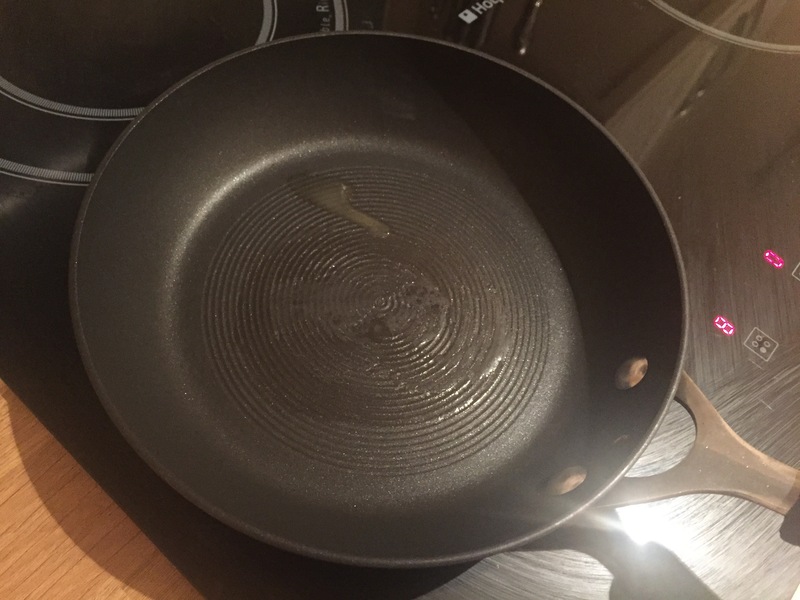 If at any point the surface looks too dark, turn the pan down a little. Otherwise, add a little more butter and repeat until all the batter has been used. 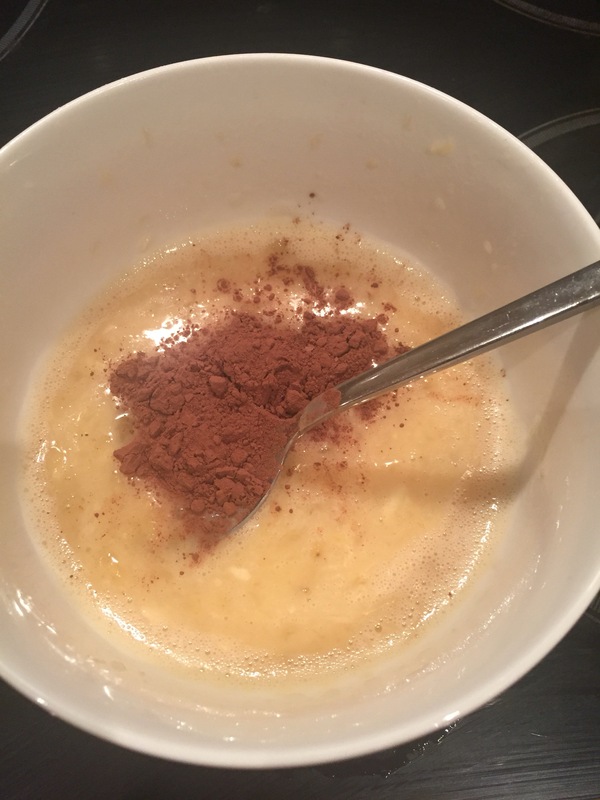 If you want to go crazy, without adding too many calories, add cocoa powder to the batter before you cook it off. 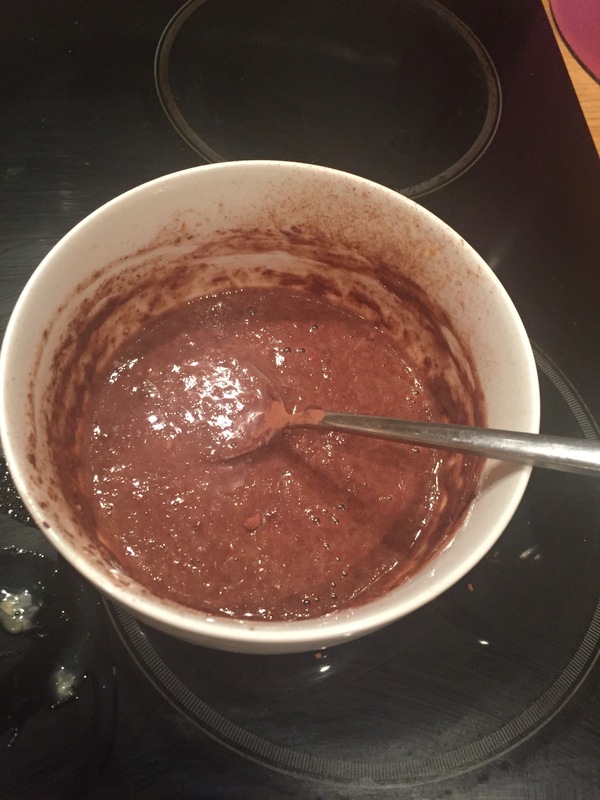 I did half plain and half with cocoa powder so I used about 2 tsp of cocoa powder and mixed it into the batter. 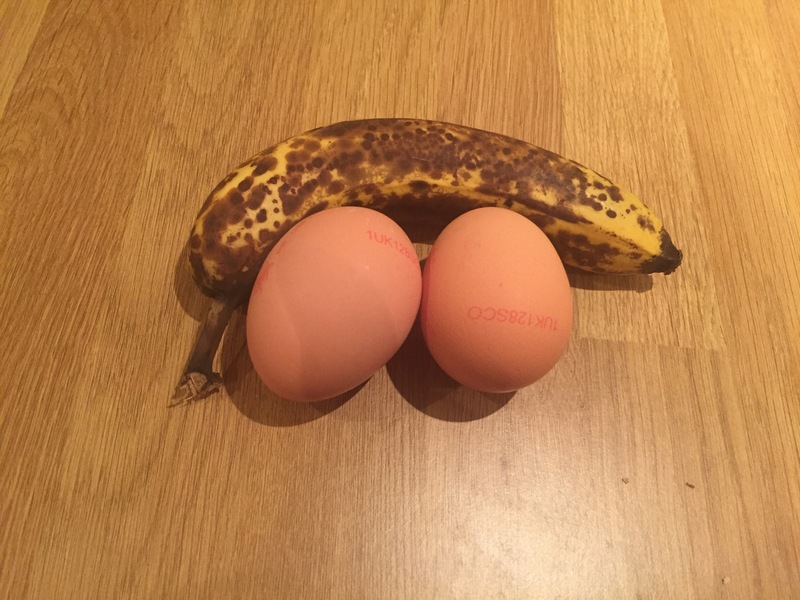 It just gives it less of an eggy taste, though they surprisingly taste but very eggy at all – more like banana pancakes! Cook them off as before, but be aware they’ll look brown even if they’re perfectly cooked. 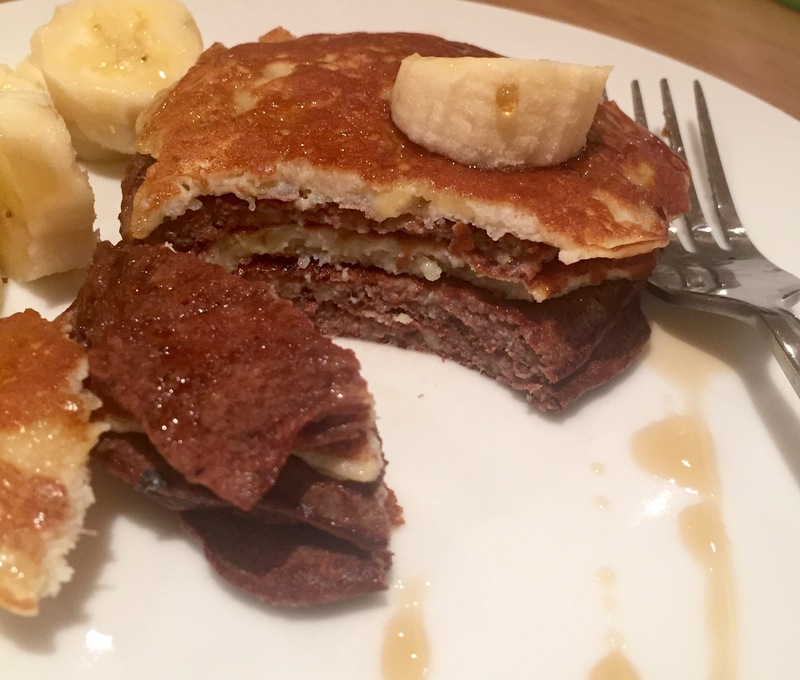 Serve them all stacked up with a drizzle of maple syrup and some sliced fruit and you’ll never know the difference! 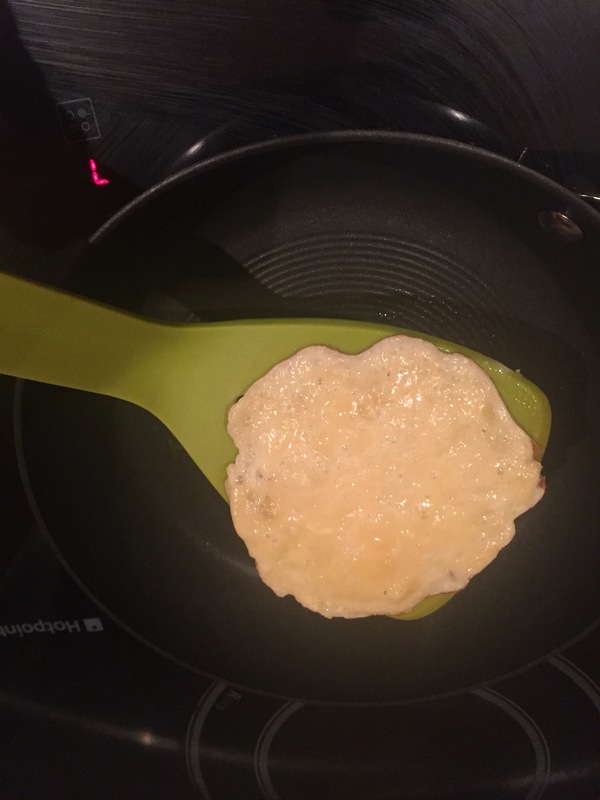 Interestingly, the same batter makes cracking crêpes, which I discovered accidentally when I dropped the bowl over the pan!